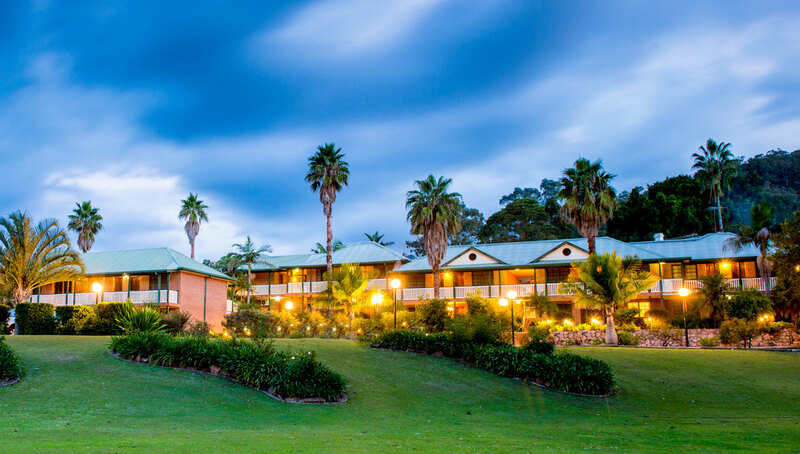 Set along the beautiful Hawkesbury River, Retreat at Wisemans is the ultimate destination for a luxury weekend getaway, family holiday, business conferences, wedding receptions and ceremonies, and boasts 54 accommodation rooms & suites accommodating all your needs. 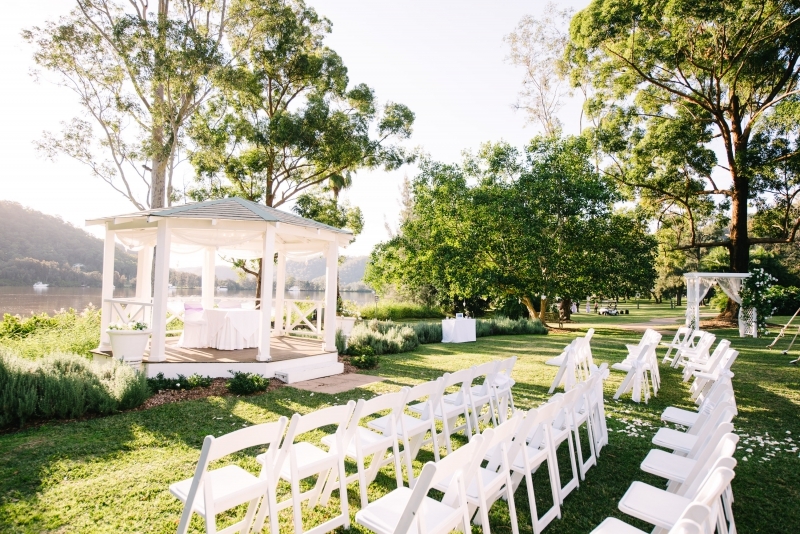 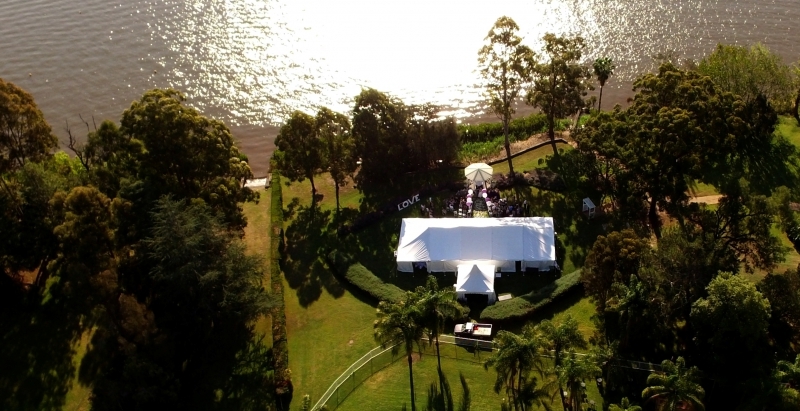 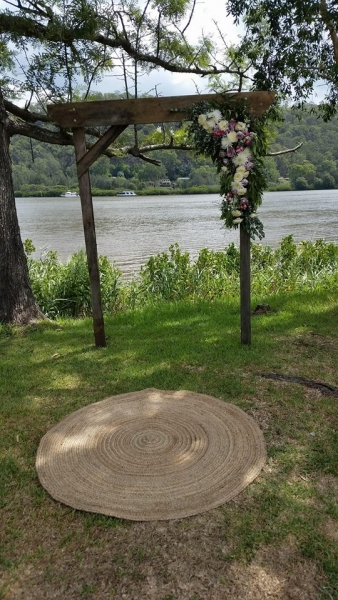 With everything you need for the perfect wedding, we have created the very special Riverside Wedding Garden for your special day, set along the beautiful Hawkesbury River providing an enchanted setting for your ceremony, and photographer’s dream for your bridal photos. 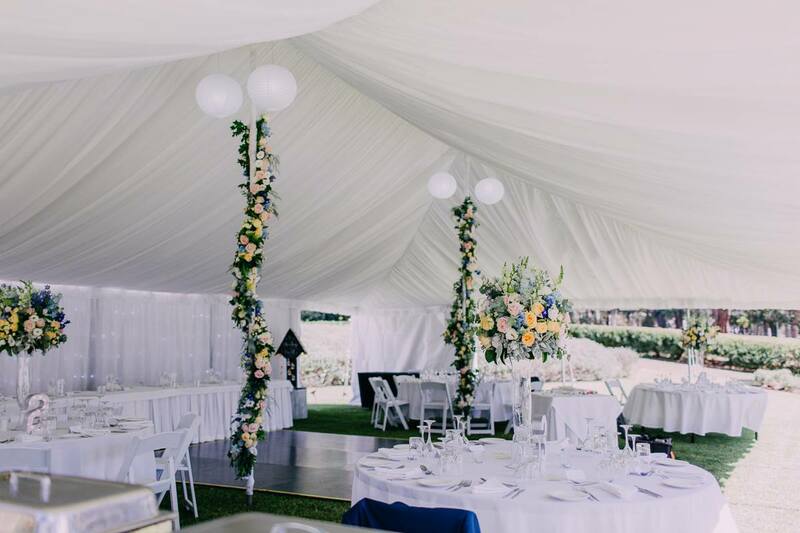 For you and your guests you can choose to have your reception in the marquee with a garden backdrop for up to 150 guests for a seated function or 200 guests for a cocktail party. 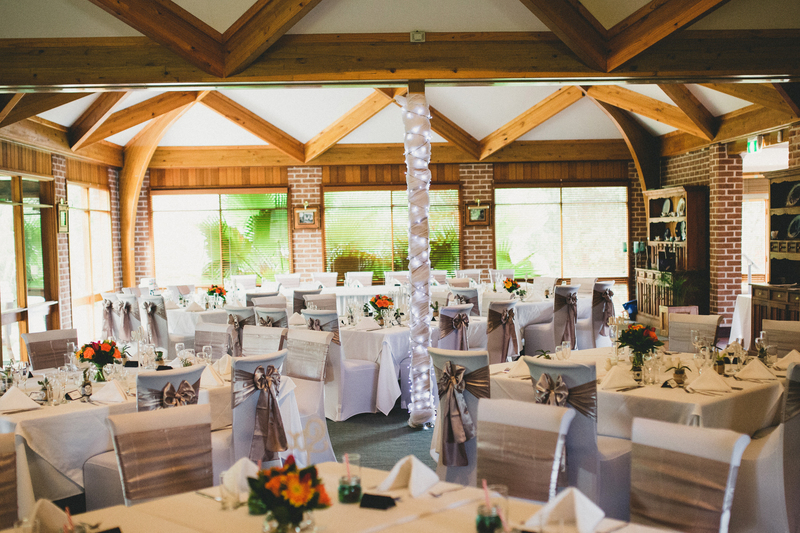 Alternatively, you may like to celebrate in our award winning Riverbend Restaurant for your special occasion, that can comfortably seat up to 110 guests. 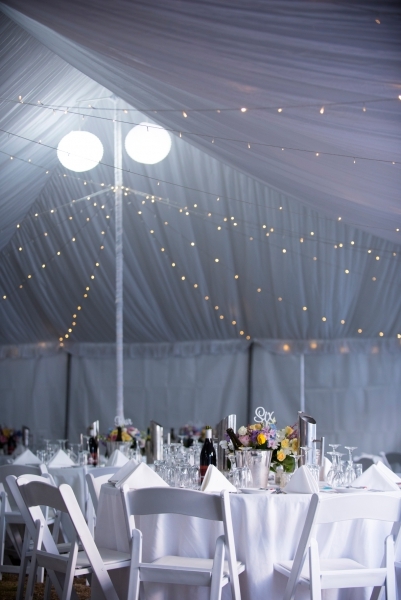 One of the great attractions of the Retreat is the accommodation, where the bridal couple have complimentary use of our wedding suite and with 54 comfortable and spacious rooms available, your guests can enjoy the event without having to worry about the drive home. 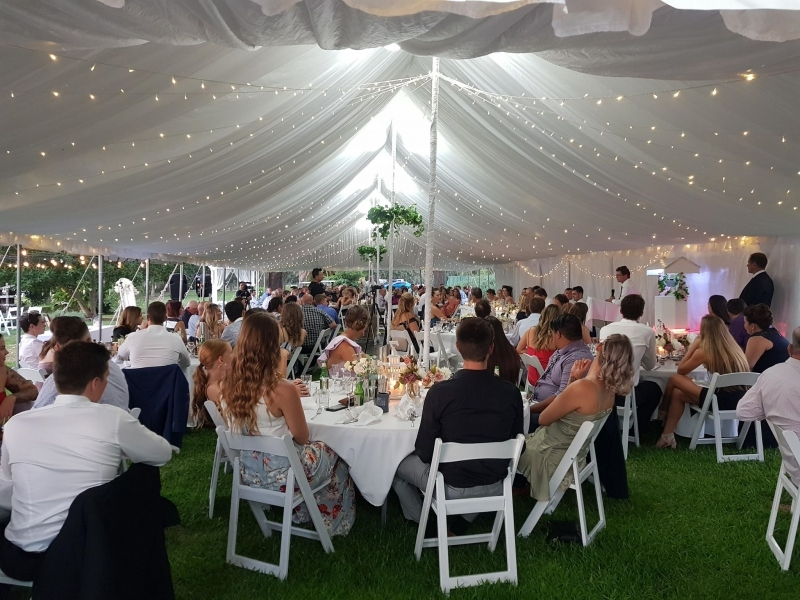 Our professional staff at Retreat at Wisemans will ensure you and your guests have a fantastic experience, sharing one of the most important day of your lives together in style. 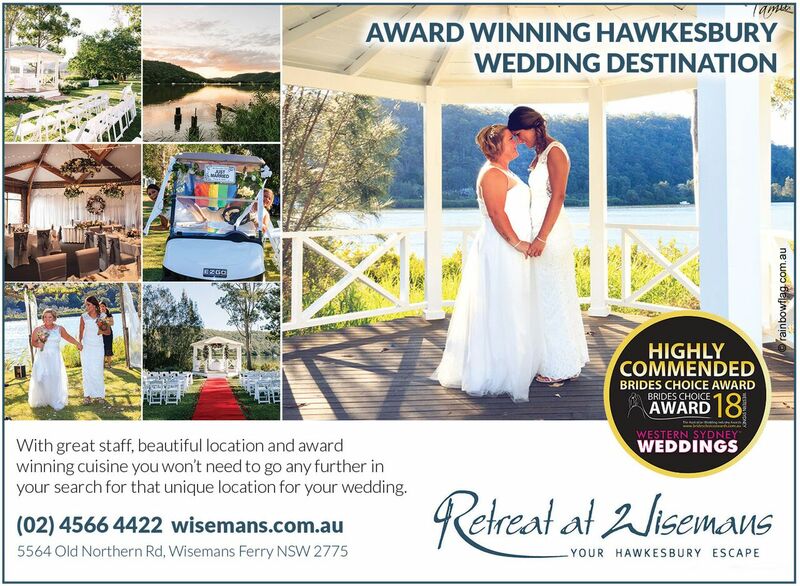 Thank you for visiting the page of Retreat at Wisemans as part of the Rainbow gay friendly network. 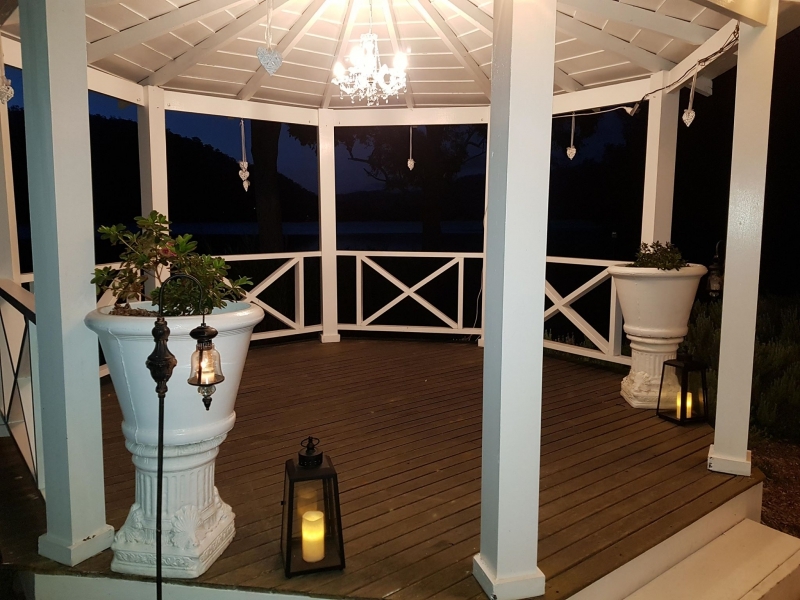 Retreat at Wisemans is located in New South Wales and are happy to assist the gay and lesbian /lgbti community when looking for Corporate Functions. 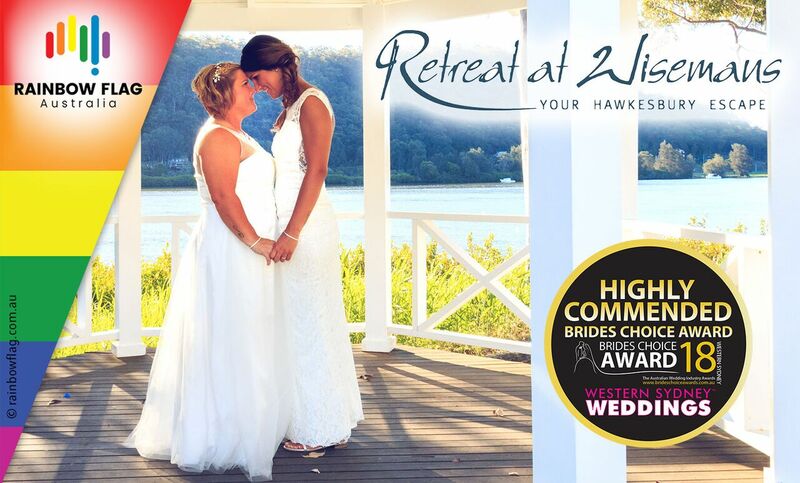 Retreat at Wisemans is proud to be part of the rainbow flag Australia network and can be contacted on (02) 4566 4422.